The most authentic reproduction of the original Gumppenberg deck was produced by Il Meneghello in 1992 in an edition of 2,000 called Il Tarocco Soprafino of F. Gumppenberg. 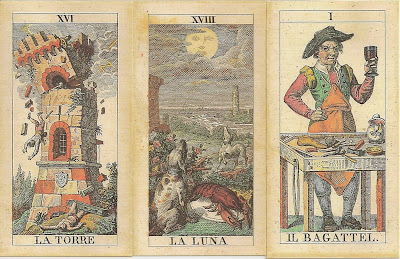 In Lo Scarabeo's photo-reproduction called the Classical Tarot the cards are larger and brighter, making it easier to see the details. The background is lighter and the age marks and stains are cleaned up. 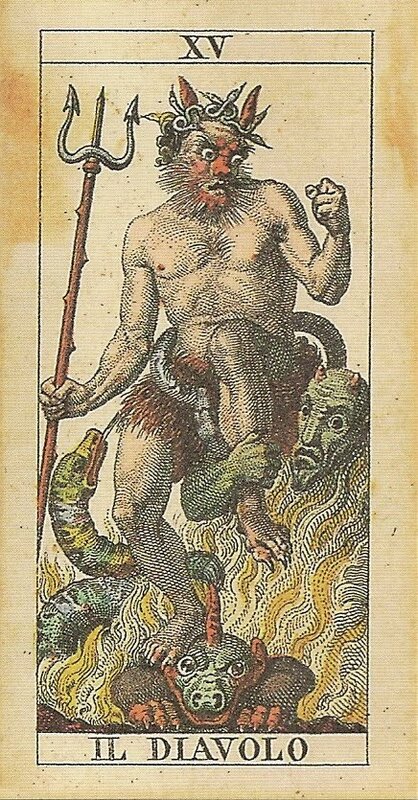 But their appearance is marred by Lo Scarabeo’s typical wide left border with the card name repeated in several languages. There are two different types of boxes for the Il Meneghello deck. Mine is is tied by a ribbon and the deck is slid in through the side. It also has a red wax seal as is customary with Meneghello limited edition decks. There is another model, a two part box, lined on the outside with paper which has illustrations of tarot cards. On the top of both sorts of boxes is The World card. The small, slightly off-white cards have square corners and the backs have a regular pattern of dots. 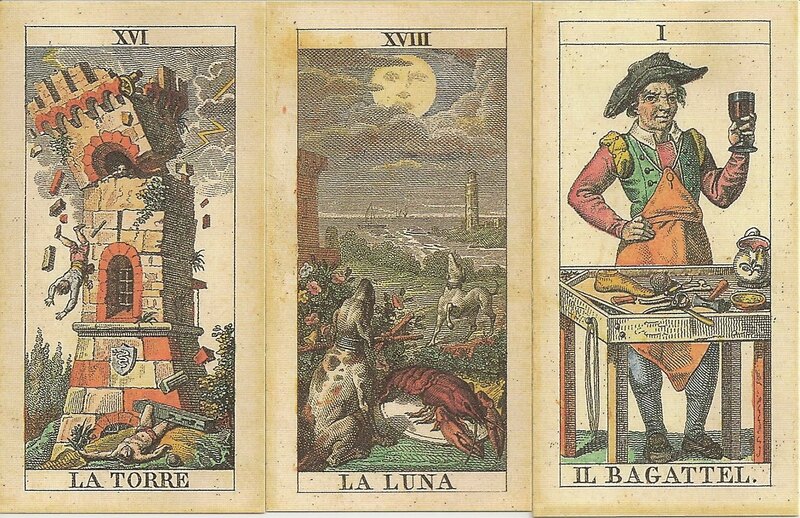 The fronts of the cards have not been cleaned up, as blemishes of age and acid stains from the original cards are reproduced. There is no LWB or instructions of any kind.